The earth belongs to God. He designed it, created it and controls it. He has the right to give it or portions of it to whomever He wants. Of course, He never relinquishes ownership, but He does give or change management - which was Adam's original job. In the Old Testament, Israel discovered this. In the timing of God [Gen. 15:16], God took them from landless slaves and gave them a beautiful and fruitful land. It was everything they had dreamed about and more. It wasn't handed to them on a sliver platter, of course. They had to exercise faith and obedience. They had to go into the land believing the Word of God, wrestle it from Satanic opposition and keep it against counter-attack. During the lifetime of Joshua and his leadership, they were basically successful…successful enough that it could be considered that God had fulfilled His promise to Abraham [Jos. 23:14]. But there is no such thing as an unconditional promise. Israel was warned again and again that if they walked in disobedience to God they would lose the land…and other things. God did not take away the land immediately, but He left people to oppose them. This would be a continual test to see if they would trust God and obey Him or if they would continue to walk in disobedience. Amazing enough, the very first generation after Joshua forsook the Lord and walked in their own ways. Prosperity turned their heads. They began to rely on their own strength. They became pleasure seekers and self-seekers instead of God-seekers. Sound familiar? So these enemies that were left in the land would gain the upper hand and oppress them. When it got too bad they would repent and seek God. God was merciful and would deliver them, but the next time the test of obedience came, they would fail and so the cycle was repeated. God is patient. It was almost a 1,000 years of testing and failing, first under the judges and then under the kings, before they were permanently removed from the land. What about us? 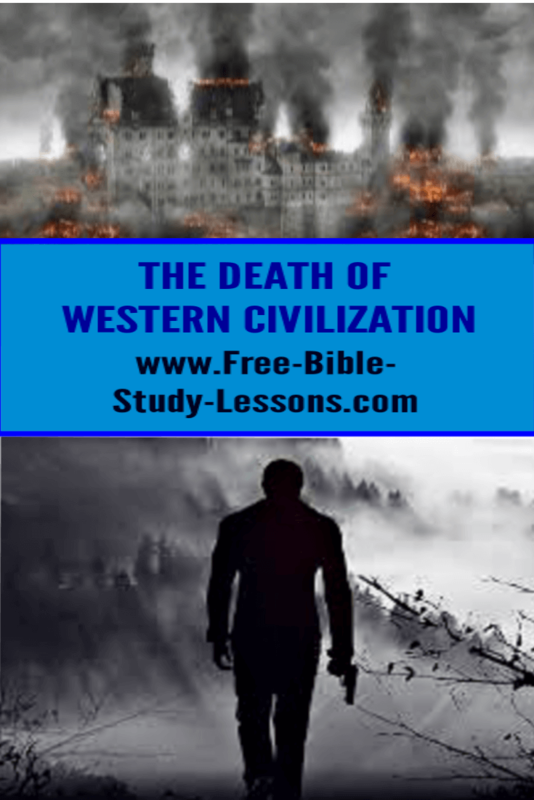 Western Civilization was built on the foundation of seeking God and Biblical Law. The Puritans, for example, whenever they suffered a famine or Indian attack would go to prayer and fasting to see how they had offended God. God was publicly acknowledged as the Lord of the land - however imperfectly He was obeyed. But that has, over the last 100 years or so, been shifted. We have slowly moved from being a nation based on Biblical Law and the acceptance of Christianity to a nation based on humanism with increasing intolerance for all things Christian. One reason we have let this happen is that we have worshipped "freedom" over God. There are still many Godly people in the land. It is they, by their prayers and activity, which hold back the judgment of God. However, if there is no national repentance and turning to God whole-heartedly, the day will come when we will be thrust out of the land and it will be given to someone else. When will that day come? It could be tomorrow…or it could be a 1,000 years from now. Only God knows. Our job is to live and promote the love and ways of God in our current generation. It may prevent that day from ever having to come. While political action has a role to play, the key is always the hearts of the people. We need the Holy Spirit to sweep across our nation bringing sorrow for sin, conviction, repentance, restoration and reformation. Nothing else will do.